Is that yellow with blue or blue with yellow? 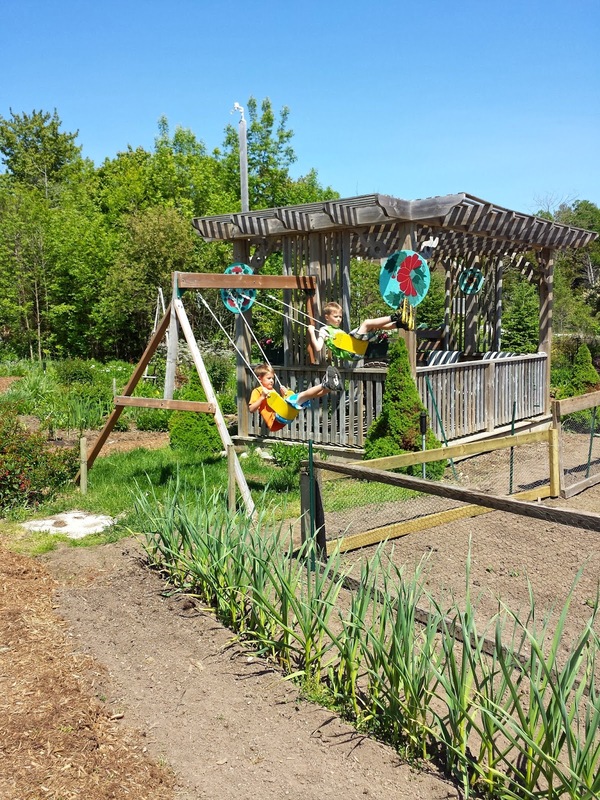 this weekend the boys were taking advantage of what Grandpa could save from their old swing set. We had a nice visit and they are coming back again next weekend. Grandpa has also constructed some new paths through the garden that are good for running. The fenced area is an attempt to keep the rabbits at bay and is working so far. 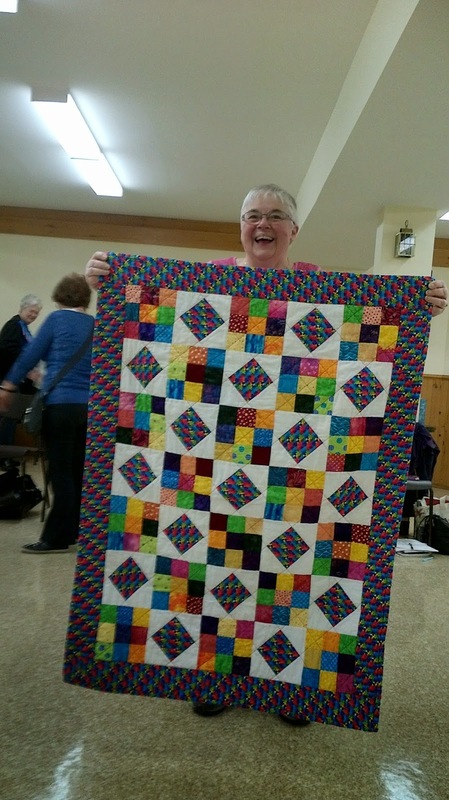 Sarah at Confessions of a Fabric Addict (here) runs an amazing charity quilt drive each year. She puts a tremendous amount of work in behind the scenes, selecting the recipient charities and explaining them via her blog. To encourage international participants she offers the option of making a donation locally. Canadian postage has gone through the roof this year so I opted for the donate locally choice. 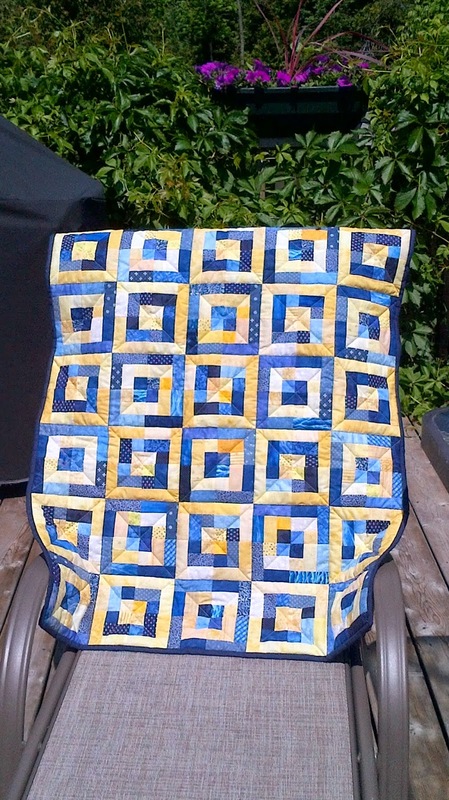 The little quilt on the left went to Project Linus and the quilt below went to our local Scrapbag group. Having this little "competition" forced (or should I say encouraged) me to finish a couple of tops. 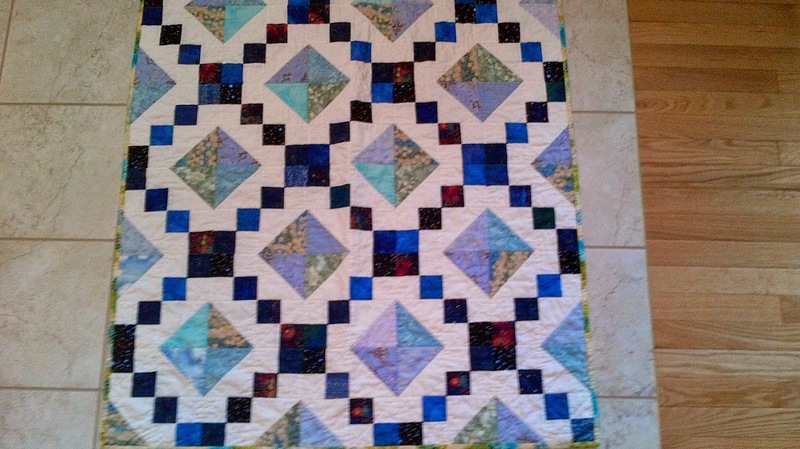 I still have a huge line up of tops waiting to be quilts.